centro di radioterapia ad alta specializzazione. 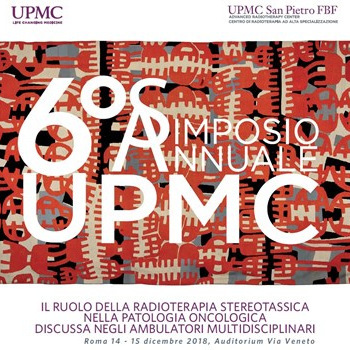 Welcome to UPMC San Pietro FBF. 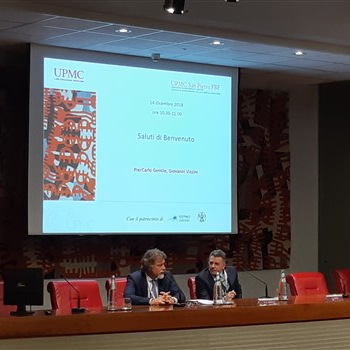 Created in 2013 from a collaboration between UPMC Italy and San Pietro Fatebenefratelli Hospital, today UPMC San Pietro FBF is acknowledged as a radiotherapy center of excellence. Throughout their plan of care, our patients are followed by a multidisciplinary team of specialists along all the steps and aspects of therapy. Doctors, physicists, radiotherapy technicians, nurses, and administrative staff work together as a team to make sure patients always receive high quality and safe treatments. 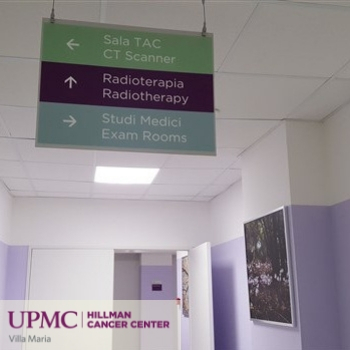 We also collaborate daily with the oncology network team of UPMC Hillman Cancer Center, U.S.A.
As regards conventional radiotherapy, the techniques available at our Center allow for a higher level of precision, much to the advantage of healthy organs, and for a more effective treatment. The Center is equipped with a latest generation multilayer CT scan able to perform accurate diagnostic tests for all body districts (with or without contrast medium). The medical team of the Center has completed a training in Pittsburgh and shares daily experiences and clinical cases with colleagues in Europe and in the United States. Information is the first step. In order to fight the disease it’s essential to be aware of the progresses made in the areas of research, prevention, early diagnosis, and therapy. Stereotactic radiosurgery is the most recent and advanced radiotherapy technology, combining the millimeter precision of treatment and the irradiation of high curative doses. This allows to perform shorter cycles of treatment thus reducing potential side effects. Good news: Our commitment to research, medicine, technological innovation, and to all that is required to deliver the most advanced therapies and provide maximum support to our patients.